NEW DELHI: Indian cricket captain Virat Kohli‘s wax statue was unveiled at the Madame Tussauds museum in the capital on Wednesday. Kohli is the latest sporting celebrity after Lionel Messi, Kapil Dev and Usian Bolt, who made it to the India branch of the iconic wax statue museum. “I sincerely appreciate the efforts and incredible work undergone in making my figure. Thanks to Madame Tussauds for choosing me for this lifetime experience. I am grateful to my fans for their love and support. “This experience is going to be stored in the fond memories of my life…now waiting to see the fan reactions,” Kohli said in a statement issued by Madame Tussauds. 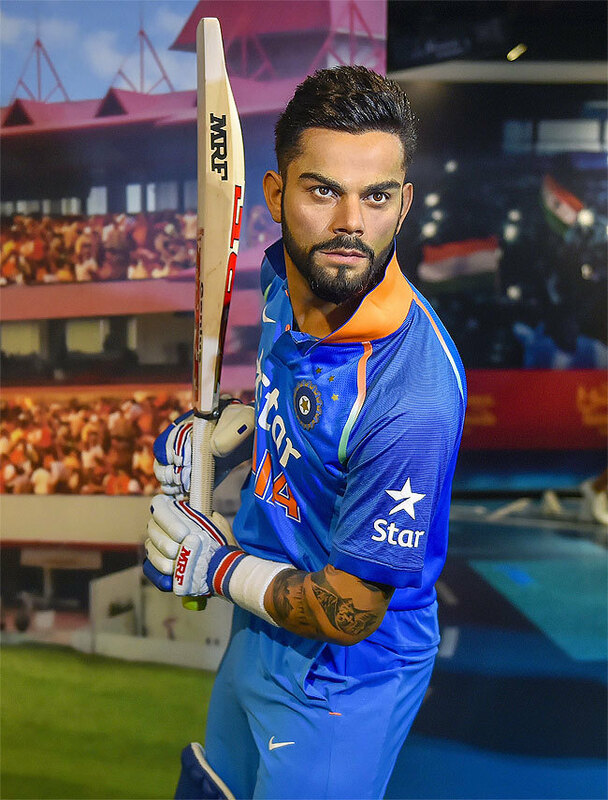 Kohli’s figure was crafted from over 200 measurements and photographs taken during the sitting session. Fans will see the skipper in his dynamic pose wearing the Indian cricket team jersey, ready to strike. This pose symbolises his achievements as an international cricket icon. Kohli’s journey has been phenomenal, from his first-class debut in 2006 to captaining the Indian cricket team, winning the Under-19 World Cup on route. With his unbeatable performances, Kohli has won several accolades including the Arjuna award, ICC World Cricketer of the year and three BCCI international cricketer of the year awards.